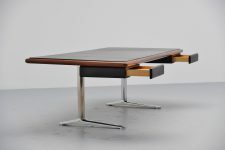 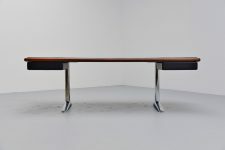 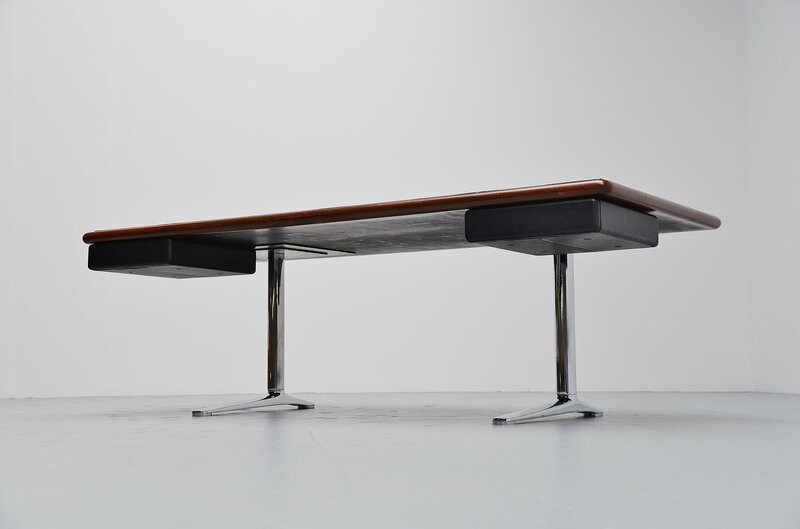 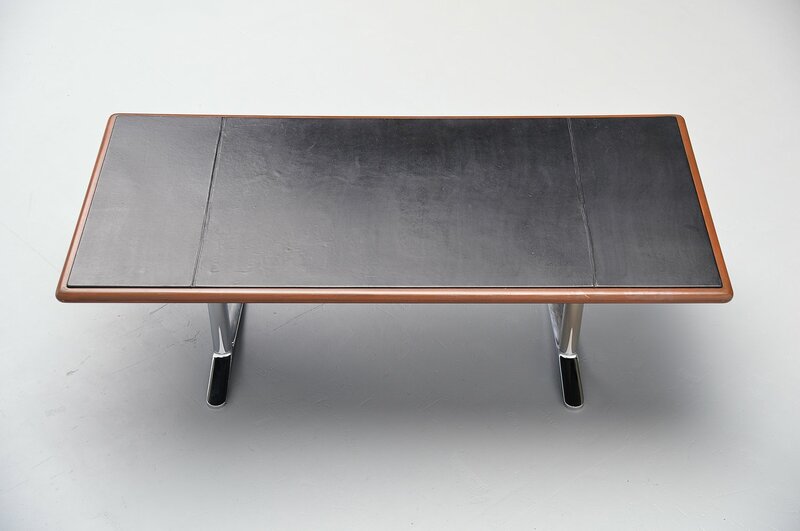 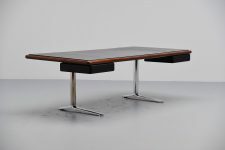 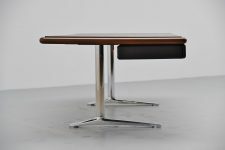 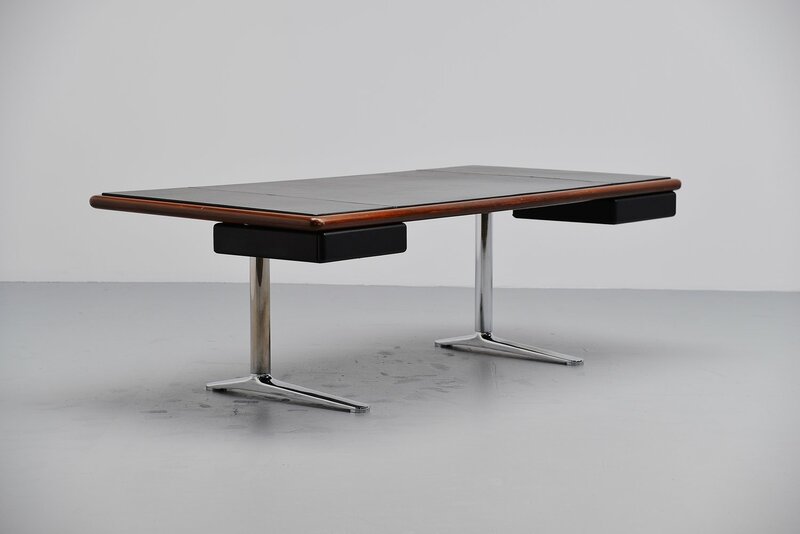 Huge conference desk designed by Warren Platner for Knoll International, USA 1973. This desk is made of superb quality and is very heavy. 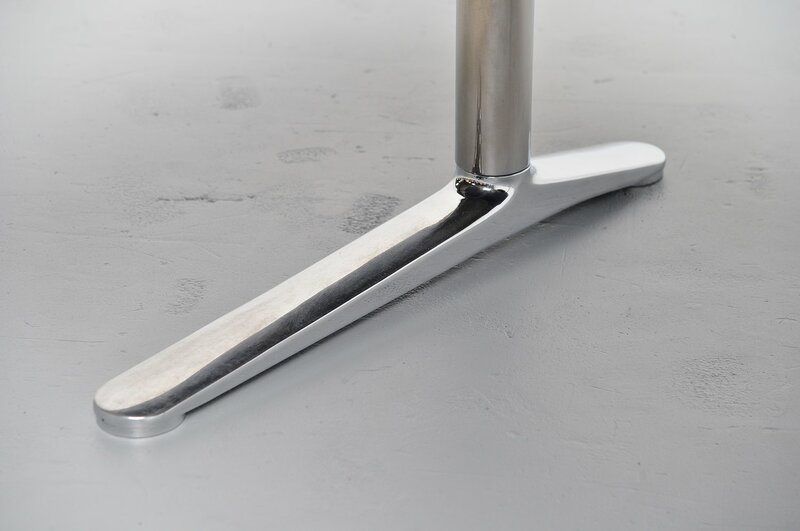 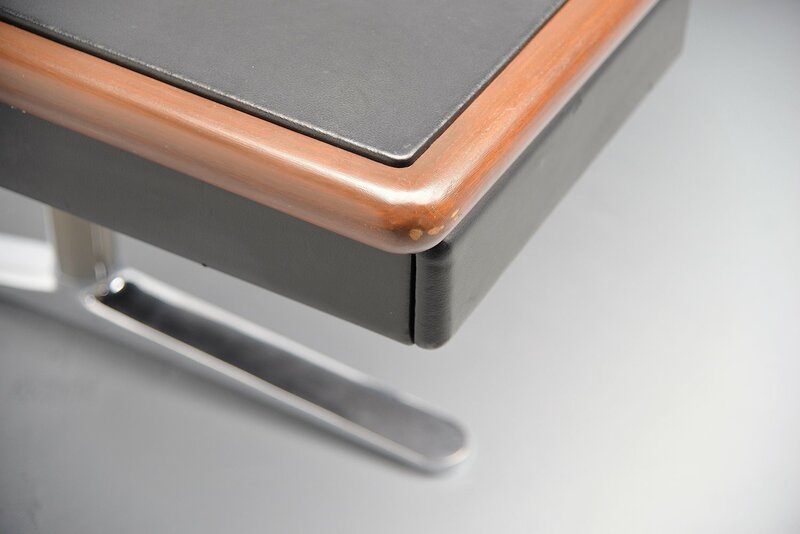 The metal legs are chrome plated and the top has a leather finish with a wooden dark brown stained rim. 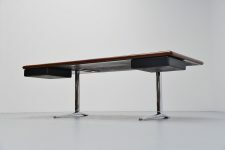 It has 2 drawers 1 on each side and its fantastic shaped and in very good overall condition, completely original. 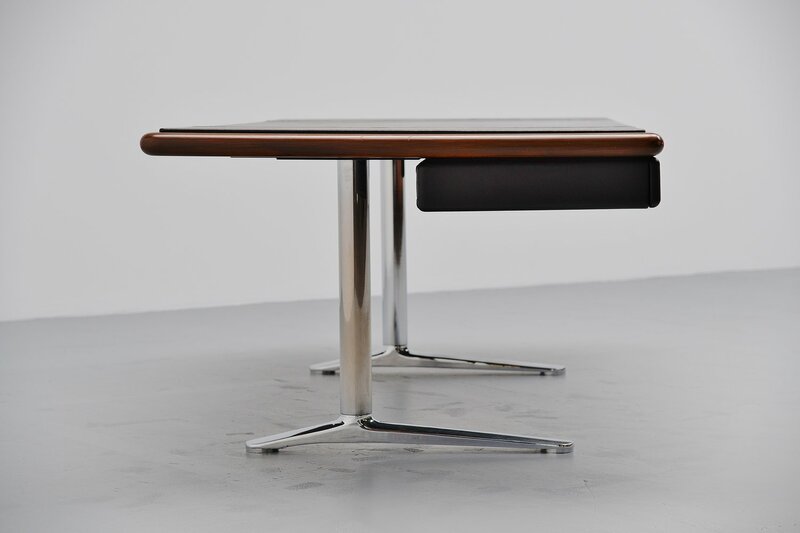 We have a matching desk chair available by Knoll that fits perfectly with the desk.